This impressive villa constructed from solid granite offers a comfortable living space . . .
Easy to maintain three bedroom house in the heart of the market town of Antrain. Great as a . . . This lovely house has been completely renovated by the current owners and offers a roomy, . . . 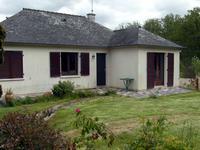 Located in the centre of a charming breton town situated on the tourist routes between Rennes . . . Beautifully located in the market town of Antrain within walking distance of the shops, bars . 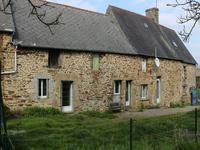 . .
House to renovate near Mont Saint-Michel, in a village of stone houses. Once renovated, this property offers a particularly interesting space for a town centre . . . Location is everything, and this lovely little house in need of a little TLC certainly has it . . . 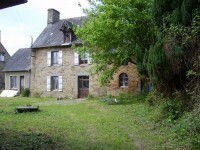 Interesting opportunity in the town of a small commune of character, this home to renovate . . . Currently with two bedrooms and the opportunity to create more accommodation this is a house . . . 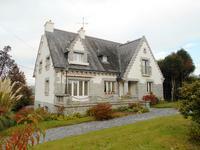 Perfect family home or lock up and leave holiday home in quiet hamlet close to local village . . .
Beautiful house tastefully furnished in a green and quiet area. The house of 5 bedrooms have . . . Ideally situated with easy access to A84, Rennes or St Malo and only 25 km from the Mont St . . .
Property located 5 minutes away from the centre of Antrain in a quiet environment. Easy . . .